Strung with Love: The Art of Making and Using Your Own Prayer Mala is coming to Brookings, Oregon! Saturday, February 16th, 2019 at the Event Center, 800 Chetco Avenue, Unit B, from 12 noon to 3pm. Have you ever thought your mind was too busy to sit still long enough to meditate? That was my experience until I learned about Prayer Malas and how they help to still the mind through chant and affirmations. In this workshop, we will learn some of the history and background behind Prayer Malas and how to make our own prayer mala to enhance our spiritual practice. The act of crafting a mala is also a calming experience and sharing it with other people is quite special. I have been teaching and giving workshops on how to make and use Prayer Malas for the past eight years and I am so excited to bring this experience to the Southern Oregon Coast. For questions you can contact me, Sue Robson, at malas@sonic.net or click on the below 3 1/2 minute video. 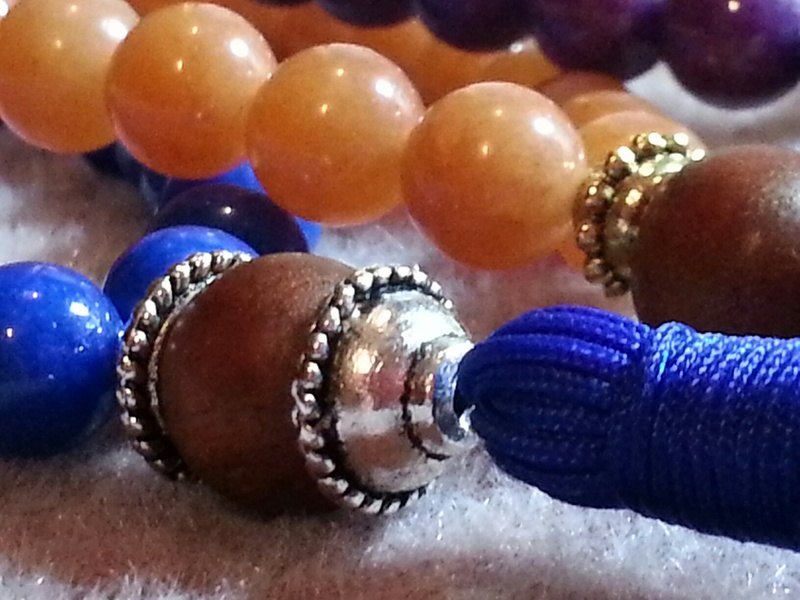 Come together with others to learn how to make and use your own Prayer Mala. We will go over simple beading techniques including tassel making. 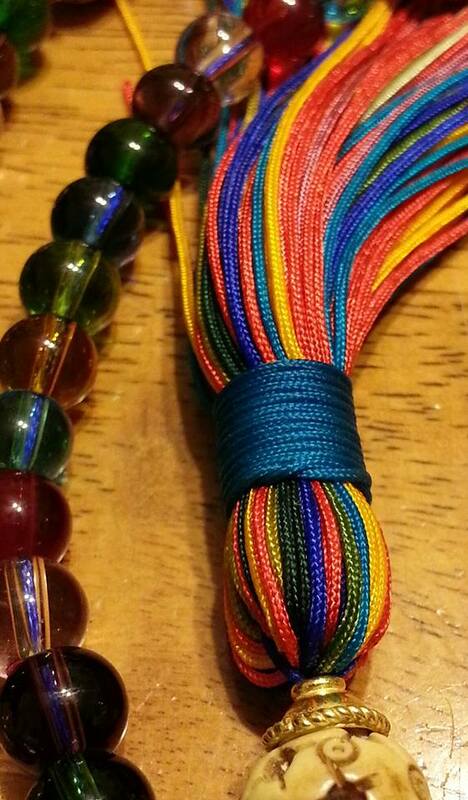 We will learn about the sacred histories of other faith traditions and how they use beads for meditation and prayer. We will end the class with a mantra using our newly made Prayer Mala. No prior beading experience is needed; only your desire to be creative. 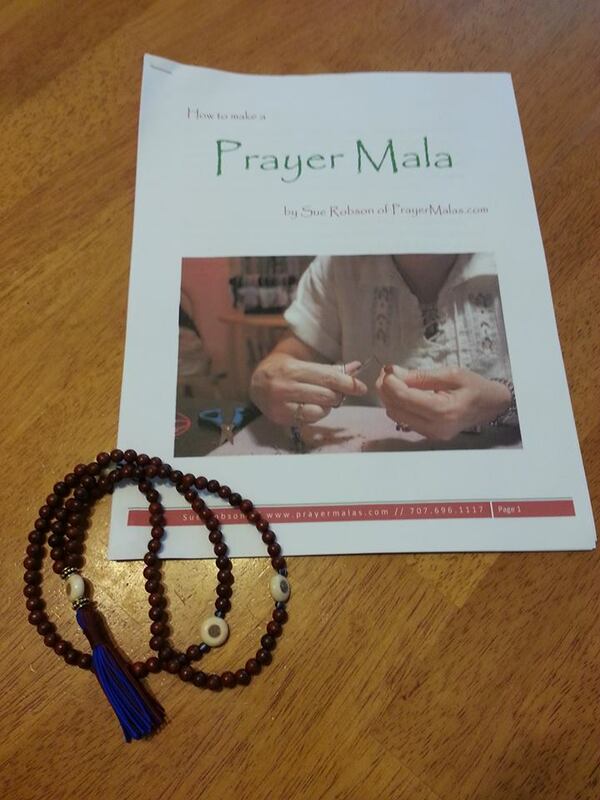 Cost: $30 per person and mala bead kits are available for purchase at the event. You can bring your own beads as well.